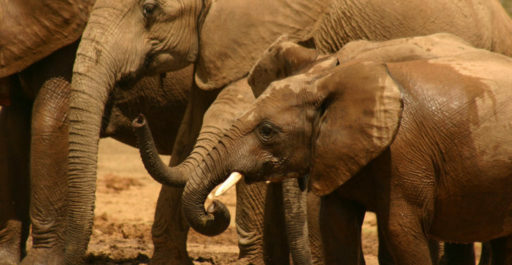 Elephants are amongst the most sought after animals for poachers, with thousands of elephants being killed every year due to the value of their horns on the black market. But while there is little doubt that poaching represents the biggest threat to elephants’ existence, their lack of habitat and propensity to destroy and alter large swathes of territory has played its part as well, putting strain on national parks in areas where they have large populations. 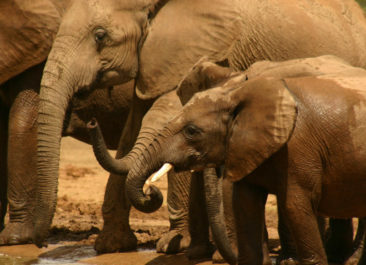 In short, elephants require a large area of land to survive. This poses unique challenges to governments and lawmakers who are tasked with ensuring these large animals have enough space and resources to survive, a problem exacerbated by the expansion of human civilization and encroachment on natural habitat by new communities. A lot of the time, agreements between governments must be reached if elephants are going to be afford the space they need as national parks are often international, transcending borders and requiring a joint effort by the specific countries’ agricultural and conservation sectors. This has prompted a new strategy to aid in the conservation of elephants. Elephants confined to small territories wreak havoc on the environment, disrupting eco-systems and putting pressure on other species in particular areas. Elephants have a tendency to destroy trees and shrubs whilst establishing new migration patterns, leaving the area worse off when they left it. These affected areas require a considerable amount of time to recover but are not afforded that chance when elephants do not have the space they need to move around. As a result of this, governments are forced to increase the size of their parks which oftentimes comes at a huge cost to agricultural communities despite providing opportunities for tourism. Most lodges are already on board with this, Accommodation in Addo Elephant Park has ensured that their premises encroach as little as possible on the habitat while providing the best possible experience for visitors. Fortunately, initiatives are being proposed by government and state owned game reserves to create “corridors” which would allow the free movement of elephants between these parks whilst preserving the ancient migration routes elephants have used throughout their existence. This project represents a new era in elephant conservation. By providing elephants with the chance to roam throughout their historical range (or something at least approaching that), governments will be able to better monitor elephants movements across borders and address further challenges to conservation of elephants. At the moment, this initiative is only currently underway in South Africa. The country’s population of elephants which numbers nearly 20,000 can now roam between national parks, meaning they have enough space to raise their young, maintain migration routes and limit their destructive impact on the environment. It is imperative that similar projects are implemented in other African countries. This would prompt parks to cooperate in their conservation efforts and ensure that elephants can once again enjoy the range of movement across borders that was once uninhibited by the activities of humans.